I have worked with Chris Koval numerous times over the last several years at our Sunset Station venue. He has provided both DJ & Lighting services for my clients’ as well as AV equipment for meetings – like screens, projectors, and sound. He is very reliable, professional, and has an extensive song list too. He customizes his packages based on my clients’ needs and always goes above and beyond to ensure they are happy. I enjoy working with Chris very much because I know my clients are in good hands when he’s taking care of them. Thank you Chris for all you do!! Chris was the DJ for our wedding at Kendall Plantation last weekend and he did such an amazing job! He helped to direct the flow of everyone through out the whole day. And then he played exactly what we wanted for the reception which just was the icing on top to have all of our friends and family able to dance the night away! Chris Koval is an excellent and professional DJ! We hired him for our wedding in July of 2018. My now husband, Andrew, and I met with him a couple months before the wedding, and we immediately liked him. Chris took the time to listen to what we wanted and asked questions about our wedding vision. He was very flexible and organized which are invaluable traits in a wedding vendor. He will adapt his DJ style to fit your event, and he’s great at reading the crowd. Perhaps more importantly, he has a friendly, positive attitude that will help put you at ease. He offers several packages and will go over them with you, so you know exactly what you’re paying for. At the wedding, he set up beautiful up-lighting in our venue, MC-ed the wedding, and of course played great music. We are so happy we hired him, and he helped make our big day spectacular! Thank you Chris Koval! You were amazing! Chris has phenomenal experience in this business and really listens to what you want. He has a great sense for reading the crowd and kept the party going! We continue to receive compliments on his wonderful DJ and MC service at our wedding. Thanks Chris, for making our wedding so fun and memorable! I was coming from out if town and never got to actually meet Chris before our big day. He was very accommodating and helpful when I had questions. He was was available when I needed him. I highly recommend! Our setup was amazing!! Chris Koval was great! Incredibly professional, talented, fun, and worth every penny! Would hire again in a heart beat. If you need a DJ, don't pass him up! Thank you for bringing our wedding to life with your music. Everyone had such a good time. I have memories to last a lifetime from that dance floor. It seemed like you knew exactly what to play and when to play it. We were so lucky to have had you be part of our big day! Thank You! Just to let you know that your music, lighting and up-lighting accents turned out really great and wanted to thank you. We look forward to recommending you for any events in our future. Hi Chris, I hope you enjoyed the rest of your weekend after the wedding Saturday! I just wanted to tell you again how great it was to work with someone as professional as you. You and I both know what a major factor the DJ is for a wedding, and it’s always a relief to have someone who knows how to make it a smooth event. I really hope we will work together again soon, so I’ll be happy to recommend you whenever I have the chance. Have a great Christmas and New Year’s Eve! Chris was a great DJ and really helped pull the music together in a cohesive way. The song for our entrance was not the one I gave him but everything worked out very well. Overall we were very pleased with Future Sounds. Thanks Future Sounds. We are grateful (and appreciative) for Chris's work at our wedding and reception. Chris was responsive, easy to work with, and managed a lively, lovely evening for our guests. Thanks Chris. From the first meeting with Chris I knew that we had made the right choice. He was fantastic! You can really tell that he has a lot of experience and knows what he is doing. At our reception he really got a sense for the crowd and made the perfect song choices to get everybody on the dance floor. Absolutely loved working with him and would choose him again in a heartbeat!!! Chris was amazing! He really helped create the party mood in my guests at the reception. He was also so good at controlling the flow of the reception and super professional. He was also really helpful during the planning process. His website contains a bunch of guides for planning the ceremony and reception and whenever I had questions, he always got back to me right away. He also did the music for my ceremony and it was spectacular! Chris Koval is very knowledgeable and professional. My wife and I hired his company Future Sounds to be the DJ at our wedding. Chris’s expertise in the field made the planning very easy. We provided Chris a short list of requested songs and he was able to create a full playlist for the wedding from our suggestions that blended nicely with our requests. We didn’t make this easy on him; we had requests that included multiple Jazz songs, Nine Inch Nails, a German lager song and the Knight Rider theme song. Chris also used up lights for the venue that really enhanced the look of the venue. We had multiple compliments from our guests on his ability as a DJ from song selection to professionalism. We highly recommend Chris Koval from Future Sounds for any special event that requires a DJ. Chris was truly fantastic! He made our wedding so much fun, and was amazing when it came to interacting with the crowd and making sure everyone was having a good time! He made sure that we got exactly what we wanted for our music selection, and was so great to work with even though we were planning our San Antonio wedding from Oklahoma. I would highly recommend Chris to anyone looking to make their event/wedding/etc. a memorable experience! I would definitely hire him again because he truly made the evening a total blast! Chris was fantastic. He knows what he's doing, can take direction, but also makes great suggestions (including suggestions about the flow and timing of the entire evening). Since my mom and I planned my wedding ourselves, this advice was super helpful. He knew how to get the guests involved and dancing as well as how to make important announcements. During the reception, guests asked me for his info - he was that impressive. Highly recommend. Pranesh and I just wanted to say thank you so very much for EVERYTHING you did to make our wedding perfect! We had SO many people come up to us and compliment us on you! Your music selections and flow of the evening was truly spot on! And the up lighting was EXACTLY what I was trying to explain! You were everything we had hoped for and more Chris! Thank you!!!!! Thank you!!!!!! Chris did an absolutely phenomenal job as DJ for my wedding! From the beginning, Chris did an excellent job of communicating with me, and reassuring me that the music I chose for the ceremony would be timed well. He made sure the ceremony music timing was flawless, which was difficult considering I had 20 people in the wedding party. I also continue to get compliments on how perfect the reception music was. Chris did a wonderful job reading the crowd at the reception and knew exactly what to play to keep people (of all ages!) on the dance floor all night long. It was such a huge relief to have a DJ that I trusted completely to make everything run smoothly on my wedding day, and I would HIGHLY recommend him to anyone! Chris with Future sounds was so easy to work with for our wedding (04/14/17). He helped us to get exactly what we wanted and so much more. One of the most important parts of our wedding was making sure everyone enjoyed the celebration and as our DJ he was able to get everyone to dance and enjoy the night. He was easy to work with from the moment we hired him to even after the wedding. Everyone enjoyed the music played and we (the wedding couple) never left the dance floor. 🙂 Highly recommend! Chris from Future Sounds is fabulous! From the beginning he was professional, organized, experienced, and made it so easy for me to plan from out of state. Future sounds did quite a few services for us including ceremony music, GOBO, reception music, and was our M.C for the night. He did a wonderful job in every category and he helped our wedding flow smoothly and beautifully. Some of our crazy friends were throwing out requests left and right and he handled it all with grace. We weren't planning on doing a garter toss. but towards the end of the night we decided to add it in and he made it seem like it was planned the whole time! He is very talented with the way he groups songs together and knew exactly what the guests wanted! Future Sounds is worth every penny. Chris is the best! He made us feel so comfortable and he did an amazing job at the reception. He reads the crowd so well and helps keep the evening flowing perfectly. He is extremely professional and friendly. I would highly recommend his services for your next big event. RAVE REVIEWS CHRIS!!!!!! You made the night!!!!!!!!! I cannot thank you enough. Chris is the best hands down, having never planned an event so big he made everything super easy. We had a country theme and while we knew the direction we wanted it was Chris that pulled all the music together. You honestly cant go wrong by choosing Future Sounds. Chris Koval at FutureSounds did such a phenomenal job at our wedding! From the moment we met him at the bridal show to the end of our wedding he was wonderful to work with- Chris is professional, organized, and highly experienced! He met with my husband and I a few times when we were still in town (he even came to the walk-through with us a few months before the wedding to go over the set up and plan for the ceremony and reception- he set up the lighting for us, let us add a Gobo light, and an extra hour!) and communicated with us via email and phone after we moved to make sure that all of our questions were answered and the timing for the ceremony and reception was perfect. Chris edited the our first dance, father-daughter, and mother-son songs for us so they were at the desired length and made sure that they sounded flawlessly! He also made sure that the reception flowed smoothly and everyone was having a blast on the dance floor! Half a year later, all our friends and family are still telling us how much fun they had at our wedding and what a wonderful DJ we had! If you're looking for an amazing DJ, someone who is wonderful to work with, and someone who will go above and beyond your expectations- book Future Sounds! Chris Koval from Future Sounds really came through on our wedding day. My husband and I are not too trendy on the music front and have a unique taste in our tunes, but that was no issue for Chris! We sent him our custom playlists and he made sure everything we wanted was played and filled in gaps with awesome selections! On top of that, he was able to smoothly transition and edit the lengths of our processional music so that there were no awkward transitions or gaps in music. Chris was super easy to work with and talk to, and made music an easy obstacle to tackle during wedding planning. Chris Koval is very helpful and his assistant Julie Ann is wonderful. Without Future Sounds the event would not have been so successful! Thank you future sounds! I CAN NOT EXPLAIN HOW AMAZING HIS SERVICE IS! I know he is just a DJ, but he was so much more at my wedding. He made sure that I was not stressed at all, and took care of everything. If something needed to be done, he was on it. I HIGHLY RECOMMEND HIS SERVICES. Trust me, you will not regret it. In looking back on our wedding day, Chris was the vendor that made the biggest impact on making the event as fun and as memorable as it was. He read the crowd, followed our do's and don't's on preferences, and kept the party going. I would without reservation choose Chris over and over again for my wedding and any future party I have!!! Mr. Chris Koval, M.A. is a fantastic dj/mc and, both my wife and I, would sincerely recommend his services to any one person, soon-to-be-wed couple or group hoping to cater a memorable event. He demonstrated a knack for feeling out the people, setting an appropriate ambiance and choosing wonderful music to set the mood for any occasion. He is a consummate professional and genuinely good person who will go to any length to insure that your event meets your expectations and beyond. His prices are fair, and his experience and grasp - mastery - of his trade are evident from the get go. If you are looking for a DJ, look no further Future Sounds for the answer. Chris is absolutely awesome!!! He is not only a DJ playing songs for you but he guides you throughout the ceremony and the reception. Chris is very responsive and really works on your needs!!! My guests were absolutely impressed and had fun!!! The Pastor who did our wedding made a comment that he attended and officiated many weddings and never seen a DJ quiet like our DJ 🙂 He is great!!! We highly recommend Chris. We are planning to use him again in the future! Chris provided several services for us for our wedding ceremony and reception. He was very professional and responsive with everything that we requested. 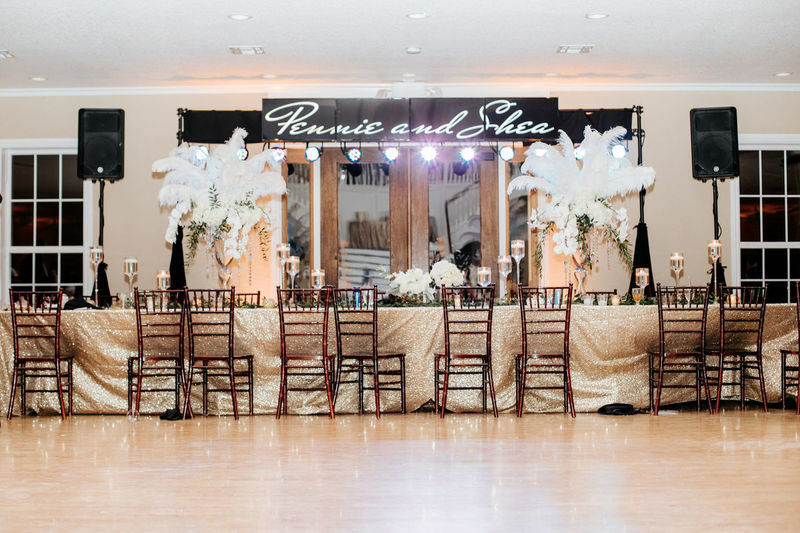 The up-lighting he provided for the venue softened the look of the room and made it look even more elegant. From the ceremony to the cocktail hour and then throughout the reception, Chris provided great music for our guests to enjoy. We were very impressed with his services, and will definitely plan to use Chris for any and all future events we have. Chris was great at keeping the reception moving. His equipment was great for both the wedding and the reception. The music was the right volume to be heard by all but not too loud. He was great to work with. Chris was amazing! Not only did he provide fabulous music, he ensure we didn't miss any important events. We really got to enjoy our wedding and not worry about a thing. The communication leading up to the event was so comforting, and I had no doubt it would be perfect. Our friends have even commented to us about how fun it was. I would definitely recommend this company. So, thank you Chris Koval for outstanding entertainment. Future sounds was amazing they really created an experience. Chris Koval is the epitome of a professional, it was a joy to have them a part of our special day!! Chris was excellent to work with! My Husband and I were from out of town, and we got married this past June. 3 months before our wedding we met up with Chris at his house and talked about what we were wanting in the music played at our wedding. He was extremely helpful, and was very patient and willing to work with my busy schedule. I decided last minute I wanted a slide show played at the wedding, and he even drove out 30 miles from his home to meet me so I could give him the pictures on a flask drive. Our wedding music was phenomenal! Everything I could have asked to be played was played, and even songs I didn't even think about that the crowd really loved were played. He kept the party going all night, and did a wonderful job at reading the crowd! I would recommend Future Sounds Disc Jockey Service to anyone having a wedding that needs a DJ, lighting, or slide show, etc. ! This businesses was truly wonderful! Chris was so wonderful he was so energetic and played a wonderful variety of music. We were so pleased with him! Have nothing but good things to say about him or his company! Chris with Future Sounds was fantastic at our wedding! He was so professional and friendly...very easy to work with. He did the music for both the ceremony and the reception, and he didn't miss a beat. During the ceremony, all the music and timing were perfect. During the reception, he helped to keep everything on track for the dinner, toasts, cake cutting, dances, send off, etc. He did a great job mixing up the music to get people on the dance floor and having fun. I would highly recommend Chris with Future Sounds to anyone looking for a great DJ!! We used future sounds and we loved him. He was professional, kind, and amazing at pleasing the crowd. My husband is from Michigan and I am from Texas so we had two very different crowds as far as music preferences. He did amazing. He talks you through the ceremony, reception and advises the whole time. Everyone at the wedding was praising our selections of the DJ. We still get compliments over Future Sounds. Best decision of my wedding planning. Chris and Future Sounds were excellent at our wedding!!! We were referred to him by our venue and we were very pleased! He was able to answer all questions and followed the requests we did have to a tee. Chris took care of all announcements, timing, etc. at our wedding and we did not have to worry about a thing that day. I would HIGHLY recommend Chris for other weddings, etch!!! Thank you, Chris! My (new) husband and I were extremly grateful for Chris and Future Sounds at our wedding! The process was effortless and Chris was there every step of the way to answer any questions and make sure we were confident with all of our choices. What I appreciated most was how well the event ran from one event to another with all of the announcements. It was incredibly professional and gave the perfect backdrop to everything that happened! We would highly recommend to anyone planning a big event or wedding! BEST DJ EVER! An absolutely amazing job by Chris! I highly recommend him for any type of function. He did a great job keeping the dance floor active for the entire reception and there were so many people saying how much they liked his music selection. I am so grateful we got him as our DJ and he really made the night very special and fun. Future Sounds made my wedding! They went above and beyond for my husband and I. They made our special day Perfect. I cannot express how amazing these people are. THANK YOU CHRIS AND EVERYONE ELSE at Future Sounds for the best experience with a DJ a girl could ask for and for making my wedding day go so perfect! Chris kept our reception on track and got people moving. Everything went perfect that night, but Chris stood out the most. I had more compliments on the music than anything else. I cannot thank him enough! Our wedding and reception music was incredible. Chris is an absolute genius when mixing music. He is kind and smart and really listens to his clients when they express their wants and needs in their own music styling! Chris did both of my brothers weddings and my own!!! Y'all exceeded my expectations. It was truly awesome working with you. I don't know what we would have done without you. I've already recommended Future Sounds to a couple of my classmates. Thanks for making our wedding cool! Chris Koval absolutely exceeded my expectations. Future Sounds not only provided the awesome music for our reception but was solely responsible for the smooth transitions and overall flow of the reception. No regrets at all! Thanks so much Chris! We were very pleased with Future Sounds on our Wedding Planner's recommendation. Chris was great to deal with over email and the phone before the wedding - it was all dealt with out of town; I really feel he got a sense of who we were and what we wanted the reception to be like. He also went through the Planner for some things, which was a huge relief. He played a lot of the selected music we requested and unique songs from my husband's home country we had pre-requested and accommated groomsmen lending their iphones to play as well on the spot. He did a great job mixing the ethnic music with the music I had requested which was a mix of all genres. My idea of a great DJ service is professional, sensitive to the crowd and most importantly so professional you don't particularly notice them because if you do, it means something is wrong. I remember good music and a great party and ZERO awkwardness. It was exactly what I wanted. Thanks Chris! Selecting the music for our big day was seamless, and Chris was extremely professional, easy to communicate with, and worked well with other vendors. From the prelude music to the last song of the evening, Chris Koval from Future Sounds selected songs to accommodate all of our guests and keep the bride and groom happy. He even improvised when our Mariachi group showed up 45 minutes late! Future Sounds exceeded our expectations, and we were very happy with the quality of services provided. Future Sounds did amazing job at our wedding! Everything was perfect and everybody had fun! It was non stop music, great songs and cool lights. We thank you so much...it made our dream come true! We appreciate everything...thanks. Future Sounds was perfect! Honored my music requests, adequately felt out the tone of the crowd and played great music accordingly. Definitely kept the party alive! As we continue to see people who attended our party we keep getting praise for you as the BEST DJ THEY HAVE EVER SEEN. Helen and Junior who led the grand march were especially complementary as were our daughters. Their comments included that you really knew what you were doing with a grand march. Also you were never too loud but just right. You were so helpful setting up a microphone for all sizes of people. Your choice of music and dances were PERFECT for the occasion. You were wonderfully courteous. Shall I go on. I will try to pass on more comments as I hear them. We could not be more grateful for your work in making our fiftieth anniversary perfect. The services you provided us were excellent!!! You definitely went above and beyond to fulfill our requests. A wedding is super stressful in the first place. When Chris showed up and got going, I realized this was one part of the wedding I did not need to worry about anymore. Chris was able to put together a perfect song list by the limited info we gave him, and insured us that everything would run smoothly. He kept the crowd involved and was very flexible in the way we needed things to flow. GREAT JOB Chris!!! A wedding is super stressful in the first place. When Chris showed up and got going, I realized this was one part of the wedding I did not need to worry about anymore. Chris was able to put together a perfect song list by the limited info we gave him, and insured that everything ran smoothly. He kept the crowd involved and was very flexible in the way we needed things to flow. GREAT JOB Chris!!! We had a fantastic wedding ceremony and reception. All of our friends and family did nothing but complement the music that was played and chosen. Thanks for everything! Awesome job at our wedding. We, along with our guest, had a great time and the dance floor was always full. Everything was PERFECT! Thank you so much! Always do an excellent job for us at Ole! We so appreciate your time and effort and always a pleasure to work with! Future Sounds did such a great job at my wedding. They delivered exactly what I wanted and all my guests had a fabulous time! Future Sounds was amazing!!! Would recommend to any bride who wants to keep the party going. Great timing, great sense of what the crowd will like and had us dancing all night! DJ was great and friendly but seemed to lack the attention to detail we desired. When we met we went over specific songs we wanted played at specific times during the wedding and Chris was very attentive and receptive. But during the wedding, after receiving a detailed itinerary and breakdown of the days events and music required he missed multiple obvious cues (he completely failed to play the song we specified for the brides entrance/walk down the aisle after it had been clearly communicated in word and writing). Also the website let us conveniently choose which style of music we wanted for dinner rather than having to choose a whole playlist, but the artist and styles listed were not what was played even after speaking to the DJ during dinner about the issue. Thank you so much!! Everything was fabulous! Chris is amazing! We planned our whole San Antonio wedding from Omaha, Nebraska and the DJ process was by far one of the easier ones because of Chris. Chris did an amazing job helping with ceremony selections (I had no idea what I was doing!). We got so many compliments on all of our music. I would recommend Future Sounds to anyone looking for a DJ in the San Antonio area. Great work you! Thanks for making our day so much fun! Chris was the DJ for our ceremony and reception. From the pre-planning to the event itself he was professional, friendly, and very helpful. He made our ceremony and reception effortless and checked with us periodically to ensure we were happy with how things were progressing. He was fantastic throughout the entire evening. He played everything we requested for the ceremony and knew the feel we were looking for as the evening progressed. He kept everyone on the dance floor and enjoying the party all night. He was outgoing and personable to keep our guests motivated to be part of all the festivities. I highly recommend using Future Sounds for your wedding. The King's Party was great! Chris has it down to a science. He was on time and knew exactly what we needed him to announce and the music selection was spot on. Thank you! Chris Koval was a dream of a DJ. My husband and I both work in the hospitality industry and had high expectations of our vendors and we definitely chose wisely when selecting Future Sounds. Chris was not only professional and timely but fun, engaging and low maintenance. We both agreed afterwards the we could not have asked for a better DJ for our wedding! Thank you Future Sounds! There is no question that you continue to maintain the most professional entertainment service in San Antonio. This is only one of the reasons we have continued to use your services 4 years in a row. We look forward to seeing you next year! We were very happy with Chris and he was great at keeping the flow going and letting us know when it was time for everything. We were all very pleased with our overall experience with Future Sounds. Cheryl and Chris were professional and helpful from beginning to end. Chris did am awesome job during the entire event!!!! He even worked with my son-in-law for his serenade at the ceremony. There was a glitch with us losing the mother of the groom just as their dance was announced, but Chris was sooo smooth with the music I dontt think anyone noticed. I would suggest Future Sounds to anyone looking for a quality, professional, and reasonable event entertainment. Thank you so much Future Sounds for helping make our wedding reception such a joyous event!! Our guests are still commenting on how wonderful the music was. The DJ was very accommodating and engaging during our reception. I will be happy to recommend Future Sound to others. Our wedding was a great sucess and and Chris helped make it so. He was professional, and well dressed. The wedding stayed pretty much on track and on time due to the diligence of our dj. Everyone had a great time and the dance floor was never empty! We were very pleased and would use Future Sounds again and would recommend them to others! Future sound was very helpful withi selecting and streamlining the music to the event! Invaluable! They had a wide variety of music that kept those that wanted to dance from the old to the young on their feet. Chris Koval with Future Sounds did an amazing job at our wedding. There were several last minute changes and still everything unfolded perfectly that night. The ceremony and reception could not have workout so smoothly without him. The music was non-stop all night and blended with the special events so perfectly. We wanted to let you know just how grateful and impressed we were with your DJ performance. You really helped shape the atmosphere of the reception. We were especially grateful that you considered all of our music requests â€“ even the last minute ones. We will definitely be recommending you and Cheryl to our family and friends. Thank you so much!!! You were so AMAZING! Thank you so much for coordinating all of the events during the reception. You did an awesome job. You made the night go so smoothly. We really appreciated all the time you took before our wedding to check the names of our wedding party and making sure that all of the reception events were covered. The music was great and you played all of the songs that really got the crowd moving and grooving. Everyone had such a wonderful time! We really appreciate you making the night go on with ease. We had not a care in the world and we are thankful for all that you contributed to giving us that feeling. Thank you for giving us the best reception EVER! I have gotten so many compliments from family and friends about the musical selections for our daughter's wedding reception. Our DJ, Chris Koval was very dependable, charismatic, had a great sense of timing and was able to address a variety of musical tastes. 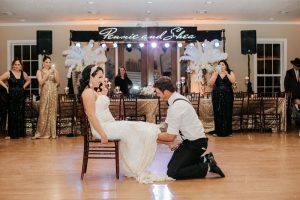 His experience with wedding receptions allowed me to enjoy the party without worrying about when it was time for the first dance, the toast, the cutting of the cake and other important wedding reception moments. I was also impressed with the fact that he was able to honor our musical requests through the creation of an on-line play list. I am happy that we chose such an experienced professional for one of our family's most memorable celebrations. Thanks, Chris! Chris was beyond amazing! He not only met our expectations but he went above and beyond what we asked for! People told us that getting a dj can sometimes not keep the party going but that's exactly what Chris did! He kept the party going and made it extra fun for me & Tyler. Right when we left the reception we couldn't stop talking about how great of a job he did. I would gladly recommend future sounds to the many brides that I know. Thank you so much, Chris, for making our reception a huge success! We even heard from several family members the next week how great our D.J. was! And Cheryl, thank you so much for all the planning and calls prior to the event. Working with future sounds was a smooth, but fun process! We hope to have pictures soon to send ya'll for your website! I hope we have another event soon that we can ask you to dj. Thanks again! Future Sounds worked with us on a last minute need for a DJ. This was our 2011 New Year party for our employees. The lighting really made it look like a party! We thought the dj did an awesome job!! We liked how he used every genre there is out there in the music business. We got to hear alittle bit of everything!! Driving back to Dallas and wanted to be sure to say THANK YOU for being our dj last night! We had such a blast and so did everyone else and that couldn't have happened without you! You are truly the best dj we have ever seen and we will never be able to thank you enough. On top of that you were the one vendor that was the most important and as Gregg said, we just gave you the keys, told you to play fun dancing music and you did it! If you ever need references or put up compliments from clients on your website let us know because we could never say enough good things about you! I am the mother of the bride. Honestly, we were torn between getting a band or a DJ for the reception. I have to say that outside of getting a wedding planner (Diana Boucher), and an amazing photographer (Daveck), Future Sounds without a doubt made our reception as spectacular and memorable as it was! The revues are still coming in from our friends and family who were in attendance and are talking about how it was "the event of their year"
My husband and I had heard great things about Future Sounds before. We were both pleased with the way Cheryl handled setting up the services for our event. Our complaints are with the DJ. We felt like we payed alot of money for poor service. We thought we could trust that things would run smoothly but it seemed as though we had to keep any eye on Mark the whole time. We specifically requested to him even the night of the wedding that he play our slideshow when everyone was seated for dinner, because we had family and friends in it and we wanted them to see their pictures. We also wanted him to announce it, but he did neither. He started the slideshow when everyone was still standing and getting seated, and also didnt announce it. We couldnt even hear the music that went with it. Travis had to run up and ask him to stop playing it. Not to mention that he announced the toast, when there wasnt even champagne passed out yet, and then cut off toasts without my parents getting to toast. Which I had specifically wrote down in the itinerary that the best man, maid of honor, and parents would be toasting. We had to run up again and tell him to let my parents speak. How embarrasing. We even made a specific outline of music we wanted and emailed to him through yalls website and we feel like maybe a total of 30% of our songs were played the rest were music that wasnt our tastes. Even in the beginning we couldnt even hear the music, and my husband had to tell him to turn it up which Mark ignored till the end. The mother of the bride also requested one song twice in the night and he wouldnt play it, even though it was on our request. We just felt like he was way in over his head the entire night. I dont mean to complain so much, we loved our experience in the beginning, just not at our wedding. I definately wouldnt recommend the same Dj to any of my friends, but definately your company. Joey and I were so pleased with Chris. Everyone commented to us about how great the music was. The dance floor was filled the whole night, the photographers had a hard time getting to it to take pictures 🙂 Thanks so much, Chris! I believe we opted for an extra hour vs. lights and not sure we received the extra hour. Since I was the bride I am not entirely sure of the situation. Overall I was so pleased and really liked our DJ. Thank you for everything you did to make our big day so fun and memorable! I had the time of my life at the reception, and we were so grateful for the role Future Sounds played in making the evening a success... Many thanks! I just wanted to thank y'all so much for our DJ, Jason, on Saturday at Lindsay's wedding. He was fantastic - everyone loved him! We enjoyed it and everyone had a good time. Thank you for an amazing wedding reception. The music was awesome. We danced until we couldn't dance another step. The groom's father requested something "Polish" and Chris produced it immediately. It was so fun. I would love to have another party just to be able to use Future Sounds again. Chris was an awesome DJ. Thanks again! Our school has used Future Sounds for all of our DJ needs for many years. Their staff is always courteous and professional. 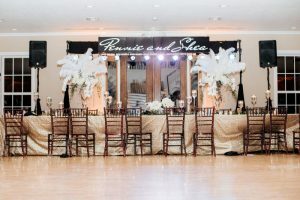 They are extremely cooperative in meeting special requests, and on site, their DJ's maintain an ideal flow of music and announcements throughout the evening. I have been sponsoring major social events for over 30 years, and Future Sounds is easily the finest, most professional group I have worked with. I just wanted to express my thanks and gratitude to you for your hard work and professionalism you gave and showed at my daughterâ€™s wedding in Leakey on April 17th. I think a good time was had by all, thanks to you! Much appreciated! We wanted to thank you for doing such a wonderful job at our wedding. We got numerous inquiries from friends as to where we found you because you really catered to the music we like. You did a great job, you were very professional, and for that, we are grateful. Jason was the best DJ ever. He really pulled it all together and everyone had a good time. When my mariachis were late Jason went right in to damage control and came up with a Plan B. Luckily they did show. I am so glad I decided on Future Sounds and Jason. I will never use another DJ service. Mark was absolutely amazing! He was such a pleasure to work with. He was kind, courteous, professional, funny, and accomodating. I had heard many horror stories about other DJ companies making promises and not keeping them. This was definitely not the case with Future Sounds. Mark was there from the very beginning all of the way through to the end. I can't say enough nice things about him! Thank you Cheryl, Mark, and Future Sounds for making my wedding night the best night of my life. Many thanks to you and Cheryl for all your help in putting together our reception! Everyone had a wonderful time! Jason was amazing! He was on time and dressed to the nines. He played awesome music and kept the entertainment going. I was also very impressed with how organized and on top of the coordinating of the event he was. Thank you so much For contributing to our event! We couldn't have asked for a better DJ service. Everything from music selection to professionalism was great. Thanks for everything! My wife and I could not have been happier with Future Sounds! Everything at our wedding went perfectly, and the music was outstanding. Chris did a great job as the master of ceremonies, moving everything along and keeping everyone involved. Many of our guests complimented Future Sounds following the wedding, and my wife's sister said that she definitely wants their services when she gets married! I will recommended Chris and Future Sounds to anyone I know with upcoming weddings. I'm sorry it took me so long to contact you but it's been a crazy two weeks after the wedding! But, I couldn't let another day go by without thanking you for the awesome job you did for us! Thank you so, so much for doing the best job ever! Everyone who attended the wedding said it was the most fun they have ever had at a wedding. You were fantastic with your great personality, your fun attitude, your professionalism, your music selection, your keeping everyone interested and on the floor, and your kindness! We couldn't have selected a more perfect fit! Thank you so very much....we will always remember the fabulous time we had and will always be thankful for your huge contribution to making it that way! p.s. the dance contest was a huge hit! thanks for organizing it so well! Dan was amazing! Everyond told us that our wedding reception was the most fun they've ever had. He really knew how to start the party and keep it going! Thanks for everything. We just wanted to say "Thank you" to Chris. He did such an amazing job at our wedding and we appreciated his flexibility to stay extra hours. The music and timeline are such crucial parts of a wedding ceremony and reception and we felt confident knowing that Chris was in charge of both. We will continue to refer Future Sounds to our friends and family with confidence. Jason was faboulous and we had a great time. I will recommend Future Sounds to everyone! Thanks again for all your help to make our event so special. Chris was our DJ and he was amazing! People actually boo'd when he announced the final song of the night, they were having so much fun dancing! Chris has a great personality, which is so important and enjoyable. The equipment was top of the line and sounded amazing. I was very impressed and happy with the work Chris did for us on our wedding day. Thank you Cheryl, too! I imagine Chris wouldn't be able to do this without you. The ability to adjust to our program was exceptional and very very professional. When we were giving away prizes and gifts, his ingenuity to provide the price is right music was accepted with joy and smiles. Just an excellent evening. I wish more people would have danced, however we probably were competing with Casino Night. Just wanted to let you know that everyone really enjoyed Mark. He did a great job! Overall everything went well...pictures took a little longer than expected at the church and we arrived a little late to the reception. Because we were late some of the times were moved back slightly. Jason continuously approached me to ask when to move to the next thing on the list. My husband and I were luckily the only ones to notice the rushed serviced. The guests were pleased with the dj service and music. Thanks so much for all you did to make Courtney and Phil's wedding so memorable. The music, GoBo lighting , video presentation and sound was wonderful. We appreciate all your time from the rehearsal dinner through the wedding and reception to make sure everything was perfect! Thank you so much for the wonderful job you did throughout our wedding! Brian and I were amazed at your ability to keep all age groups and musical preferences happy, while making sure Brian and I stayed within our timeline. I had always heard a DJ can make or break a wedding reception and you went above and beyond everything we had hoped. After the wedding everyone was raving about the great job our DJ did at the wedding! Everyone had a blast!!! We canâ€™t thank you enough for the wonderful job you did! Everything was fantasitc. We really appreciated Chris' overall attention to detail. Meeting with him before the wedding to go over song choices and our timeline put my husband and I completely at ease! Hope this finds you doing well. Matt and I wanted to thank you for making our wedding weekend so special. You did such an awesome job. We really appreciate you staying lateâ€¦I am sure it was not easy driving home after 3am. Everyone had such a fun time dancing and God knows we did too. I was a little scared to see myself and my family in the video. I hope you enjoyed it too. We would definitely recommend you to future brides and friends. Thanks again for everything. We were really happy with your services! Because I had seen Chris at my nephews wedding I had really high expectations. I was disappointed with Jason. He smelled like an ashtray when I first greeted him. I'm not sure if he had the most up to date sheet of music that I or Amber sent to Future Sounds. There was one bit of lag between songs and I just wasn't impressed with him as a DJ. For the service we received, I feel I overpaid. I wanted to thank you for the wonderful job you did for my wedding on the 27th of December. I want to thank you really for the wonderful time all our guests hadâ€¦the DJ server was excellent and went beyond my expectations. You really did a fantastic job and we really appreciate itâ€¦thanks again and thanks to Cheryl for arranging everything. Chris was great. He had the dance floor packed from the minute the music came on. We were really happy with Future Sounds. Our only comments would be that the music selection on the website could use some tweaking so that you don't have to go back to the start of the list everytime you select a song from the genre list. Also, being locked out of the website two weeks before the wedding was a little frustrating. Definitely would use Future Sounds again! Please tell Chris (and his assistant) thanks so much for doing a great job on the party last Friday night! I have received a lot of comments from our employees how much they enjoyed the music. My fiancÃ©, Jason and I enjoyed chatting with Chris as well. I still need to get photos from the photographer, but Mark was great. The only thing that happened was the song for the Mother and Son dance wouldn't play. Mark tried his best to get it to play a couple of different ways, but I guess it was one of those technical issues. Just thought it was notable so that the issue could be avoided in future events. I want to complement your company on a great job on both the November 8th reception and the wedding October 18th. Both DJâ€™s were very professional and extremely easy to work with! It certainly made my job a lot easier! We would like to have an in house DJ and are wondering if your company is interested. We would work with you and hire your DJâ€™s for virtually every wedding. I would love to hear your thoughts and opinions. Thank you once again for an amazing Ole Marketplace: Cocktails for a Cause Event! Everyone loved the great music! We look forward to working with you all again next year! You're the Best! Thank you so much for providing the beautiful music for the ceremony and reception. Iâ€™ve been in complete ease knowing that things would be perfect since you have such a great reputation! Thanks you so much for doing the music and coordination of our wedding and reception! Everything was perfect! Everyone enjoyed the music throughout the evening. Iâ€™ve filled out the online survey, but I am waiting to get a photo to attach to it to send in. Thanks again for everything and Iâ€™d gladly recommend you to anyone I know in the future! Chris did an amazing job at our wedding. Everybody commented on how much fun they had dancing to the perfect mix of music. He helped us keep everything on schedule and flowing smoothly. We\'ll definitely recommend Future Sounds to all of our friends and family. Nice Job everything was great. Chris, We want to thank you so much for your DJ services at Monica and Jaysonâ€™s wedding. Your service as DJ and Master of Ceremonies was superb. We received many, many wonderful comments from our guests saying that they had a great time and the selection of music and flow of the wedding reception was top notch. You kept the evening very relaxed and kept the guests on the dance floor â€“ that surprised even me. I never knew our families had that much rhythm! Remember, we have one more daughter and you will be our first call â€“ but not for a couple of years. We have recommended you to all that will listen. Again, thank you for a very enjoyable reception. I think Chris did and excellent job and the rookie with him did well also. You could tell that he was still getting the hang of it though. I only have one suggestion and it's minor. I wish the various music genres would have been intermingled versus played together in groups. Perhaps this is a preference you can ask about on your pre-wedding guides. Thank you - everything was held together well and your services were very much appreciated! Eveything was great! Thank you so much for playing the music that we had suggested! It was the perfect mix and many people commented on how great the music was! James did a great job keeping everything going, in the best way possible I never really noticed him or was distracted by anything because of the music. Great job. My only critique is that I emailed a couple times and got no response as to whether you would had access to certain songs for the first dance. Also, Cheryl said James would call me the week before the event to touch base and that never happened; however I wasn't too concerned about that since I had other things in mind and trusted you. I think Timeless Beginnings did call to make sure all the songs we needed were set. Anyway, great job, will definitely recommend to others. We just wanted to thank you for doing such a good job at our wedding. We got alot of compliments on our DJ and we both were very impressed. just wanted to let ya'll know it was perfect. I just wanted to tell you how very impressed everyone including myself was with you. Everyone commented on how the variety was. Thank you so much and I would highly recommend you. The purpose of this email is to let you know how much we and our guests enjoyed Luis Regalado as our DJ. In simple terms, Luis kept the party going. The music selection, his vibrant and enegetic personality made our wedding receprtion a success. We had several Spanish and English speaking guests comment how great Luis managed and dj'ed the wedding reception. For this reason, we felt that we should share this feedback with Future Sounds. Thank you Luis and Future Sounds!!! Everything was great. For me, it was a key part to a perfect wedding. Chris Koval did an exceptional job and made our evening unforgettable. Thank You! The ceremony music was perfect. Luis was able to adapt when the JP cut the ceremony short and pronounced us man and wife. Great Job! The dinner music was light and not overwhelming, it turned out perfectly. The best part of the night was the reception/dance. Once again, Luis was flawless, everyone made it to the dance floor at least once during the night, and all the dancers never left it except to get drinks and find friends to bring back with them. Thank you all so much! We will definitely recommend you all to anyone needing your services. Thank you so much for your wonderful work at our kids wedding. The crowd was small and not interested in dancing, but you still kept working the crowd. I know the wedding party, baby and I enjoyed the music. Thank you again for a job well done under difficult circumstances. I heard fabulous feedback for the music provided by Chris at the 114th Military Ball. Thank you, and please, thank him for us. We are having our Luncheon tomorrow to celebrate the conclusion of the Ball. We will highly recommend you and Chris for the music next year. I have used Future Sounds for 8 yrs. And has never had any problems. They go out of their way to help you. Luis The DJ is great we love him. We call Future Sounds everytime . The office staff is great to they keep in touch making sure that everything is ok.
Boerne Middle School Loves Future Sounds. James, our DJ, was great at our Holiday Dance. Overall we were pleased with Chris. We said from the beginning that our number one priority was to get people on the dance floor, and he did a good job at that. However, there were a few things that we were surprised about through the night, and I thought it was worth giving my feedback since I'm sure you are always trying to improve your services. 1. Garrett and I took way too long going from table to table during dinner. Unfortunately, we didn't have any sense of time during this. We had thought that the reason that Future Sounds put together a schedule of the events through the night was because you would be in charge of making sure events moved along at the appropriate time. So we were surprised that Chris didn't approach us to tell us to move things along so that we could get to the next step in the evening. The only drawback was not being informed ahead of time that the DJ was a trainee. Thank you so much for the awesome DJ service at our wedding. The music was so important to me and you delivered all the ambiance for our reception beautifully and kept the evening on track! I also loved the wedding CDs that Future Sounds made for us - everyone loved them! Yall are great at what you do! Happy Holidays. Not only is Trip the best looking of the Future Sounds DJs, but he can press the play button like no one else!!! James, thanks for doing such a great job as a DJ! You kept everyone on the dance floor and followed my cues when to end the songs short perfectly. Thanks so much! I just wanted to brag on Sean and thank you for the wonderful job you did. We will be recomminding you to our friends and family. Thanks for a stellar job! Thank you so much for helping make Suzies wedding "A day to remember." We had so many people coming up to us saying what great music you were playing and what a great job you were doing. Everyone had a wonderful time thanks to your help. i will highly recommend you and hope to have the oppertunity to work with you again. Thank you so much for the wonderful entertainment at our wedding. You pulled everything together and kept the party moving. Everyone had a blast dancing all night-thanks to your experience with filling the dance floor! Your style and repertoire were perfect! James did a great job of keeping the small crowd on the dance floor making our wedding that much better. We have had so many compliments on how nice the wedding was and we would like to thank you for making that possible. James and I were very pleased with they way the DJ services turned out. Luis did a great job! The music selection was perfect! We will definately recommend you to our friends. Thank you so much for making our wedding reception fun and memorable. Thanks again, it has been a pleasure working with you! I would like to say thank you Future sounds, and especially Luis Regalado, for your great work this past Saturday night (2/3/07) @ Jackie Diaz's Sweet 16 Party. Without you and your hard work, the night would not have turned out as beautiful and successful as it did. I look forward to working with you in the near future. with you guys and we just wanted to take the time to thank you personally. Thank you for blessing us on our wedding day. Thanks so much for the great job you did at our wedding this past weekend! We had a fun time dancing and the guests enjoyed the music as well. The evening flowed wonderfully and you were very accommodating to our requests! Chris did an excellent job! we've received many complements on what a classy event it turned out to be. The music was perfect and the events were emceed very well. I had nothing to worry about! Thank you! Thank you for your fabulous DJ services at the BSG holiday party on Friday! Everyone really enjoyed themselves and your announcing of awards & prizes made for an exciting evening! As always, I will highly recommend Future Sounds to anyone who may be looking for a professional DJ service. P.S. Thank you again, Chris, for making not only my wedding, but now my company party, so fun! Luis is AWESOME!!! We canâ€™t wait for our next event. Our associates raved about his choice of music and flexibility. Thank you so much for making our wedding day so memorable. Your generosity was completely unexpected and greatly appreciated. It has been a pleasure and an honor to get to know you. Thank you for your participation in our event. Chris did an outstanding job providing great music! James was wonderful and if I ever have an event in San Antonio, you guys will be #1 on my list. He kept everyone dancing and having a good time with my non-traditional choice of music (hip-hop, rap, etc.) James was very professional and super accommodating. I was sad when the night was over because of how fun the music made everything. Thank you for your services. I hope the brides of SA are keeping you guys happily in business. If I ever need a DJ for any future functions in SA I will be sure to give you guys a call. The one thing everyone said about my wedding was that the music was AWESOME! Thanks to James for a professional job done well! Wow! Thank you for providing such wonderful service at Sonterra for Regan and Brandonâ€™s wedding reception. The dance floor was â€œmovingâ€ all evening. Everyone had a wonderful time. Our friends and family said it was the most fun they had ever had at a wedding reception! Sean, Regan especially loved the intro of Mr. and Mrs. Brandon Miles! We appreciate so much the professionalism of you both as you met with us to discuss and plan the evening and then making sure everything flowed so smoothly according to plan. Regan and Brandonâ€™s â€œgoodbyeâ€ words to us were. "This was the best day of our life!" On behalf of Jessica and Eric and Steve and I, we would like to sincerely thank you for being the key to a fun and memorable wedding reception. no amount of money can make a party into an event without people like you making it happen, I\'d be remiss if I didn\'t especially thank you for willingly and kindly offering to play for additional time. Eliud and I were wanting a DJ that could keep our friends and family entertained and on the dance floor. Luis was great. Our friends and family really enjoyed themselves. I just wanted to thank you and Luis for everything. Our wedding was great! We had a blast, the music was fun and I danced all night. We all had a wonderful, wonderful time. I wanted to thank you personally for your help. Everything was perfect! Everything was perfect. Chris did everything just as we asked. Rose\'s parents commented that they would definitely hire you again for a special occasion. Thank you so much for a job well done! Chris, even though you were training Sean...you both did a great job! You really keep the ball rolling! Everyone had a fabulous time, including Cole and I. Thank you for the music!!! Again, thanks for making the reception run smooth! Thank you so very much for lending your talents to make our wedding reception tremendous. James you were spot on! I cannot count the number of times someone came up to one of us saying words to the effect of â€œI donâ€™t care that I donâ€™t live in San Antonio, If I need a DJ, I want this guy!â€ Thank you too for ensuring that my parents and bridesmaids had a spectacular time as they kept you busy until closing! Your efforts have left us with very happy memories that we will gladly share with all who will listen. We just wanted to say thank you a million times over for the awesome music you provided for our wedding. We received so many compliments on how much fun it was and on your awesome personality. Everyone had a fantastic time, both Chris and Sean did a great job! I just wanted to send you all a quick note to let you know how happy Andrew and I were with the service Luis provided at our wedding reception on April 22, 2006. He was amazing! Professional, articulate, well groomed and definitely organized. Right before he introduced us, there was a bit of chaos with the bridal party. Some groomsmen and bridesmaids were M.I.A. and well, to be honest it seemed to be a mess. Luis remained calm, and was did a fabulous job of changing the line up when the missing party appeared. In addition, many of my guests had different tastes in music. Some wanted hip-hop, others wanted Latin, while others wanted disco. Luis played a great variety and did a great job of accepting requests that came his way. Lastly, you website is awesome! Andrew had so much fun going through your huge song selection and picking the songs he wanted to hear. I would definitely recommend you to family and friends! As a matter of fact, you should be getting a call from a referral soon! Thanks for giving us such great memories!!!!!!!!!!!!!!! With all the things going on that day, I did not really get much of a chance to thank you for doing a great job for your first time with our group. I was very impressed with your set and your professionalism. As we put other events together, we will keep you on the top of our list for our entertainment needs. Thanks once again! Thanks for helping our day go so smoothly. We had so much fun! Thanks for being a part of the truly perfect day. Luis was wonderful!! He played what we asked him to play and nothing we didn't. He did a preliminary phone call to go over all our selections with me, and assured me he would do his best to fulfill my musical wishes. He made absolutely excellent choices during the event and kept everything running so smoothly. I was extremely impressed when my sorority sisters and I sang our song he went immediately into the Eyes of Texas. It was perfect and made me so happy! Luis was the best vendor we had that night and I am so happy he was our DJ. I will definitely recomend him to everyone I come across who needs a DJ. Thank you so much! Excellent customer service, friendly, accommodating, and a reasonable priced company... We thoroughly enjoyed working with Future Sounds and Luis was a very proactive and excellent DJ. He made our wedding reception very memorable. Thanks to everyone at Future Sounds. The reception was a total success! All of our guests enjoyed themselves. Many of them told us how nice it was to be able to enjoy the music while they were sitting outside. Thank you to James and the Kovals for the personal and careful attention. It was so great to work with you both and we were so very pleased with your services and the way our wedding day turned out. The day was perfect, and we couldn't have asked for anything more! Chris -- you did an AWESOME job dj'ing and being our master of ceremonies to keep the evening flowing. You are so professional and excellent at what you do. You kept our evening running smoothly and were really in tune to our guests. We just couldn't have been happier. You both were always such a joy to meet with, and work with, and we will recommend you, hands down, to anyone that we can! Thank you, thank you, thank you!!! All our best and thank you again! James did everything we asked of him. He was professional, nice, and good. He mixed the songs very well. It was a great night. He definitely added to the success of our wedding night! Thanks James! We thank you and Chris for everything. We still can't get over how perfect our wedding went. We were so relaxed knowing that Chris was our DJ. Your website is wonderful, and we loved being able to search through the songs for our music list. We got many complements on the music we picked and how Chris arranged them. He was able to keep us on schedule and work with unplanned time changes (photos taking longer). He really helped everything go smooth. We couldn't have asked for more. it was very easy to get in touch if needed - you were a lot of help too Cheryl! Thanks so much for your help in making the wedding so wonderful! We still are receiving compliments on how much fun the wedding was and we owe you so much of the credit for that. We will pass you name along, of course. Hope you have a very successful year. Thank you so much for helping us have such a wonderful wedding! James you did an excellent job, we had quite a varied crowd but you kept them dancing! Thank you for being part of it all, we have nothing but praise for you and Future Sounds. Chris â€“ Just wanted to thank you for the great job you did on the 19th. Even though we had a small wedding, you kept the tempo going and I really think that is what makes a reception successful. Thanks again from all of us. Thank you Future Sounds! You all helped make our wedding day run so smoothly. James is great!! We appreciate all of his hard work. We couldnâ€™t have asked for a more professional and personable DJ. You were a lot of fun to work with in planning all the details of my event! I appreciate your organization and ideas! I will definitely recommend Future Sounds, and specifically James, to my friends and family. He did a great job!! Thank you so much for everything! The music was perfect for my event! Yâ€™all were great! From the initial phone call to the follow-up after the wedding, we didnâ€™t have to worry at all. The personal attention & touches really made the evening. We would recommend Future Sounds to anyone for any event with the greatest confidence. Thanks again for making our occasion such a wonderful memory. Chris was excellent and the service extended up until the wedding was excellent as well! So many of our guests complemented the DJ and the music he played. Thank you for making our special day that much better! Luis was great! He had the party going all night long. We were so happy with our reception that you couldnâ€™t get us off the dance floor. Thanks Future Sounds for everything! Chris â€“ thank you so much for everything! Michael and I honestly were too busy to notice much of anything the night of our wedding. I do want you to know that a number of our guest recognized and remarked on your fabulous work. You came highly recommended to us and I only hope we can highly recommend you to someone we know. Great Job â€“ Bravo! You should be very proud of your work and your business! The ability to mix the Latin music with the oldies and American music was awesome!! Absolute raves have come from everyone weâ€™ve spoken with!! Luis rocks!! Chris was fabulous! He went out of his way to make sure everything flowed perfectly. His suggestions and ideas were exactly what we needed. We would definitely use him again or recommend him to a friend. Everything was greatâ€¦start to finish! Thank you for a hassle-free, smooth sailing experienceâ€¦.a rare and valuable thing when weddings are involved! Everyone was extremely helpful and friendly while we were working out the event. Their suggestions were great and we used all of them. Luis called to check up and introduce himself before the event, and was flexible with some of our last minute requests. He was great at keeping everyone on the dance floor! Thanks! Hiring Future Sounds meant we had one less thing to worry about during our reception. We knew we could count on Luis to keep everyone happy and at ease. Thank you for your professional and friendly performance. We will definitely recommend you to our friends. Everything at the wedding went very well. Chris was very flexible with small changes, not expected, at the reception. Thank you all very much! Chris was great! He did such a great job. When we requested songs they were played right away, that was really helpful, instead of having to keep asking over and over! Future Sounds was great and made our night even more memorable. Thank you guys so much!! Thank you for helping to make our day run so smoothly! We couldnâ€™t have done it w/out you! We wanted to write to thank you for all of your help with our reception music. The music was great, and everything went well. We were very happy with everything. The info sheet made planning easier and it was very helpful to be able to see the playlist on-line. Chris was excellent. He even stayed longer than was planned! Thanks for making the music just what we wanted & keeping our guest happy! You did a great job with the music for our party. We had a very knowledgeable dance crowd who cared about the music. They were very pleased with your music selections. Justin and I want to thank you for the excellent DJ service. We were unorganized and you did a great job keeping us on track and it takes a professional to do what you did. Thanks again for everything. You will be highly recommended. We thank you for helping to make Susie and Sawyerâ€™s reception at Club Giraud on August 4th a memorable one. The music was great and everyone had such a great time! I think even my mother danced! It was funâ€”thanks for making it all work! I can't thank you enough for doing such a great job at my daughter's wedding reception on June 2. People of all age groups enjoyed the music you played. It's as if you would read our minds. Everybody had fun out on the dance floor. "Shy" people were turned into party animals. It was an absolute success. Everybody knew we picked a great DJ. Thanks ...Mrs. Eng"
Thank you so much for the great job you did at our reception. We have received so many compliments on you. Everyone had a wonderful time and the chicken dance was a lot of fun. We liked your animal noises and antics! Have a great Christmas and very Happy New Year! There is surely â€œno worriesâ€ when working with you. Your abilities to enhance an event really showed at our ceremony and reception. In the future, I will definitely recommend your services, when someone is in the need of a professional DJ. Also, thank you for your patience during our meeting. Chris helped make our daughter's wedding reception really a party to remember. Everyone who attended had a great time. Chris kept the tunes coming and everyone on the dance floor. He even had a tune that got a "Baptist Preacher" on the dance floor: "Wipe Out!" He was a fun and very cooperative DJ! Highest praise! " Hiring a DJ is pretty risky because you never know what you are going to get. A friend of mine used you for his wedding reception and I remembered how you were able to keep it fun. For a wedding reception, I couldnâ€™t take the risk of just hiring anyone and possibly ending up with someone who would make a jerk of himself. I was very glad to have known about you and your ability to keep it fun and clean. Chris came very highly recommended, and I was impressed with his website. He seemed so professional and organized, so I booked him for our wedding. I was also impressed by the way Chris kept in touch throughout the months leading up to the wedding offering suggestions and just checking inâ€”that really added a personal touch. Chris went above and beyond the DJ duties with the special requests that I had. Michael, my parents, and I have all received very favorable comments from guests at the reception: They all wanted to know who the DJ wasâ€”they all loved him! Chris made our reception very fun and very special. Thanks Chris! All the information Chris needed for the wedding reception was faced wrong, so he had to totally improvise! He did an excellent job. We all had a wonderful time and Chris was a pleasure to work with. He never flustered and everything ran smooth! Thanks Chris for all your patience and professionalism. Our reception was great! Chris, you did a great job and we would be happy to recommend you to anyone. Thank you. Chris - We had the ceremony and reception of our dreams! The selections of music (for both the ceremony and reception) were prefect and all of our guests enjoyed themselves immensely! Having a diverse crowd was tough to reach... but you came though and did an excellent job! Thanks again - we would definitely recommend your services to anyone! Thank you very much for the super music that you provided at our wedding reception. You played the perfect mix between a number of styles, and you got everyone up and dancing. They all said they had a lot of fun. Thanks Again! We received many comments from guests about how pleasant the DJ was. They appreciated a DJ who was not overbearing and "cheesy." "
Within minutes of meeting Chris I felt as if we were old friends. That same personality showed during the reception. You were so flexible and friendly even amidst chaos! Thanks for being such a vital person on our most important day. We wanted the reception at our wedding to be unique and memorable for our friends and family, most of whom traveled to see us. Everyone said they had more fun then they could remember at a wedding. My husband and I danced the night away, laughing and talking with our guests. The music was perfect and Chris maintained just the persona we wanted. He was professional, courteous, and played the music our guests loved. He was quick to adapt to an awkward building set-up. Chris, thank you for helping to make our wedding our best memory! Friends have asked us for your name, and we are quick to recommend you to anyone planning a wedding reception or party. God Bless! Amidst the panic and confusion a very special guest came and asked if there was a phone she could use. A few moments later she turned and said her daughter\'s fiance was a DJ and he would be willing to come and play for a couple of hours. Within thirty minutes Chris Koval arrived and was set up. He is a truly talented professional. Without ever meeting us or knowing what we wanted we gave him a few notes and he turned our disappointment into a night that we will cherish forever. We have received numerous comments from people who attended that they had a wonderful time. We attribute that to the outstanding job Mr. Koval did, not to mention that he gave up an evening out with his own fiance to come to our rescue. He was a Godsend, Thank you Chris! Thank you for gracing our wedding reception with your talent. I know you put your heart into your work and I paid close attention to your selections, even noticing the Disney tunes you played during dinner. You are a very gifted individual with a heart of gold. I hope you'll consider us friends and lean on us if ever you need to.